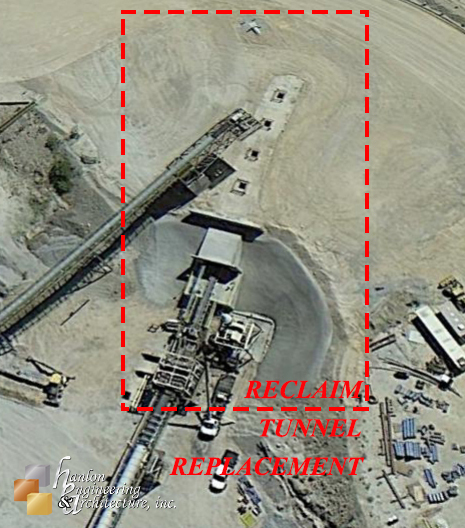 Mining Client hired Hanlon Engineering to design a concrete reclaim tunnel to replace an existing horizontal 12′-6″ diameter dilapidated corrugated metal tunnel. The existing conveyor has a 36″ belt and was very tight in the geometry of the corrugated tunnel. The new tunnel interior designed with a regular rectangular section with a width of 14′-0″ could fit the re-installed 36″ belt conveyor now centered to allow for maximum space on both sides. A larger rectangular tunnel, electrical and mechanical upgrades improved maintenance and safety. Inside vertical clearance starts at 10′-6″ at the back of the tunnel and slopes at 1/8″ pr foot toward the opening. 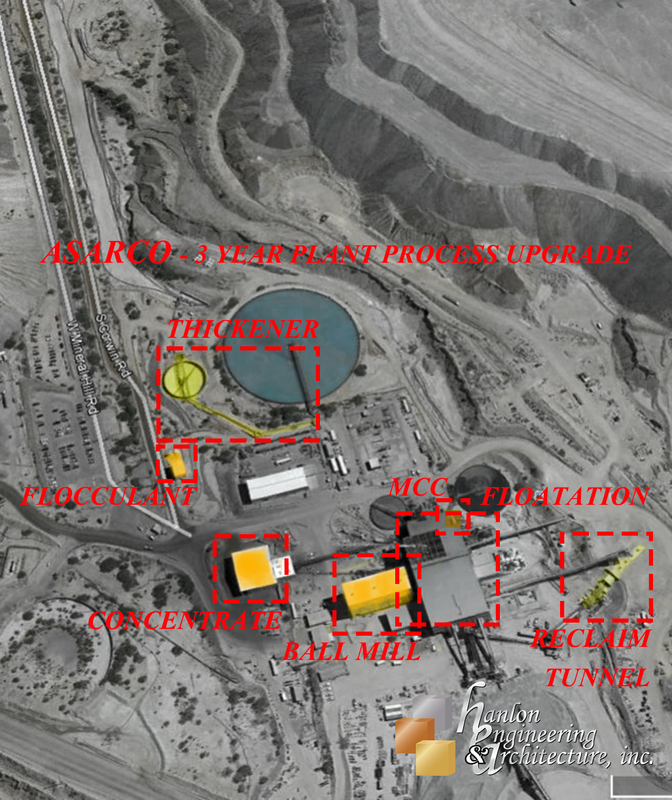 The project was designed to accommodate a nominal 50′ in height storage pile that utilizes three draw holes from the surface to the the tunnel for material conveyance. 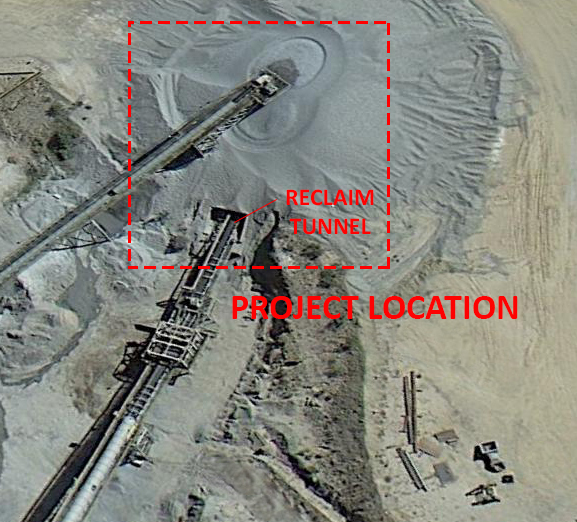 Additional site retaining walls were added to prevent and control an upset pile condition from burying the reclaim tunnel’s entrance.